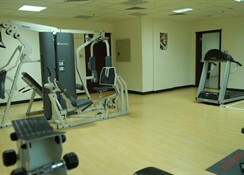 The hotel is in an ideal location close to the shopping centres and major spots of the Bur Dubai area. Dubai is a haven for world-class leisure- recreation and shopping. The city also takes pride in the several high-end clubs and restaurants offering a vibrant nightlife. Facilities include a lobby with 24-hour reception- hotel safe- currency exchange- cloakroom and lift access- a café- newsstand- supermarket and a hairdressing salon- as well as a bar- pub- TV lounge and a restaurant- Wi-Fi- room and laundry services. Those arriving by car may use the hotel car park or garage. Beautiful views and exceptional service ,Close proximity to historic district ,Designed to meet familiy needs. 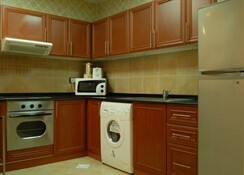 Local Attractions: Mina Bazaar - 1 Kilometer ,Burjuman Centre - 2 kilometers ,Sheikh Zayed Road - 5 kilometers. 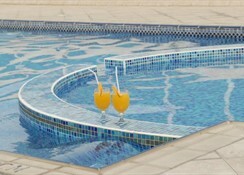 Recreation: outdoor swimming pool ,fully equipped fitness center. Services: shuttle service is available ,concierge services ,elevators ,valet dry cleaning and laundry services. A modern low storey building. The business hotel near the main area of Bur Dubai features an ideal location and modern facilities and comfortable and luxury guest rooms. Its friendly staff will make its guests feel like they are staying at home. In addition to a lobby area with 24-hour reception and check-out services, a hotel safe, currency exchange desk, cloakroom and lift access to the upper floors, facilities available to guests at this air-conditioned, family-friendly establishment include a cafï¿½, newspaper stand, supermarket and a hairdressing salon, as well as a bar, pub, TV lounge and a restaurant. 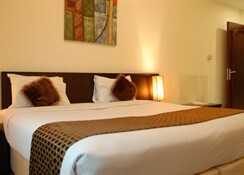 Furthermore, guests can take advantage of wired and wireless Internet access as well as room and laundry services. Those arriving by car may leave their vehicles in the hotel car park or garage. All 65 soundproofed apartments feature WiFi and pillowtop beds. Guests can enjoy deep soaking tubs, and other standard amenities include kitchens with refrigerators and stovetops. 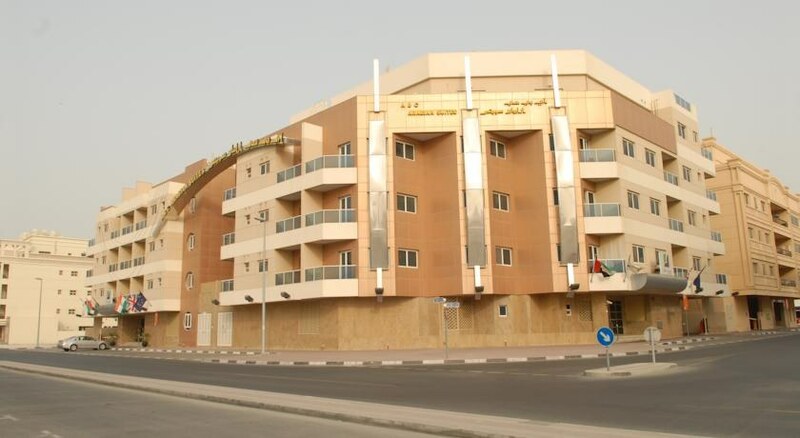 This family-friendly Dubai aparthotel is located near the beach, within 2 mi (3 km) of Al Hana Shopping Centre, Dubai Museum, and BurJuman Mall. Grand Mosque and The Dubai Heritage Village are also within 2 mi (3 km).